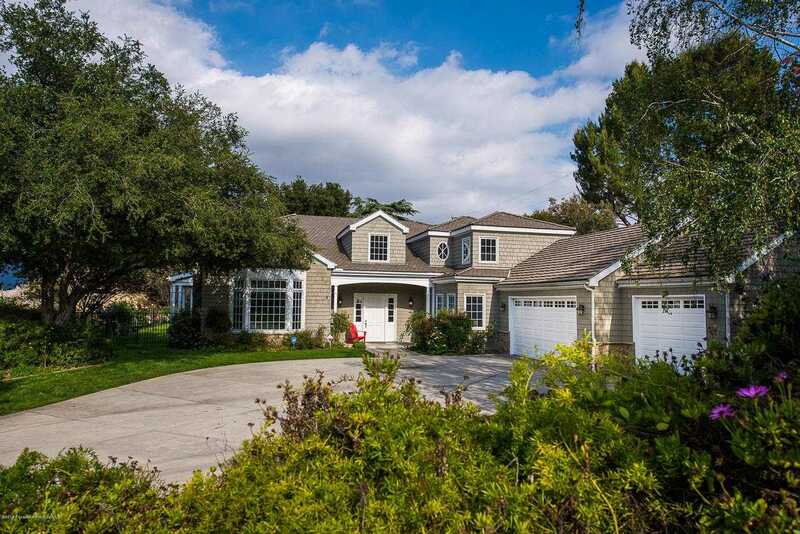 MLS# 819001537 – 3928 Starland Drive, La Canada Flintridge, CA 91011 – Robbyn Battles | Battles Real Estate | JohnHart "Real Estate Redefined"
Listing courtesy of Runjing Chen (CalBRE #01491272), Coldwell Banker Residential Brokerage. Built in 1999, this 5,276 sq. ft. 2-story, traditional style home is located on a cul-de-sac in the Flintridge Hills. This home offers five bedrooms, seven baths, a library/office with built-in cabinets, a gourmet kitchen with granite countertops and walk-in pantry. In addition to the formal living room and formal dining room, you’ll find a large family room and dining area off the kitchen with beautiful outdoor views. The backyard has a lovely pool, brick bar-b-que, koi pond and plenty of flat grassy yard. It is situated on a 16,986 sq. ft. lot with direct backyard access to more than sixty acres of Cherry Canyon Park with miles of hiking and biking trails. It’s rare to find an inviting home with such spectacular views. You must see it to believe it! Building size: 5276 sq ft. Please, send me more information on this property: MLS# 819001537 – $3,450,000 – 3928 Starland Drive, La Canada Flintridge, CA 91011. I would like to schedule a showing appointment for this property: MLS# 819001537 – $3,450,000 – 3928 Starland Drive, La Canada Flintridge, CA 91011.